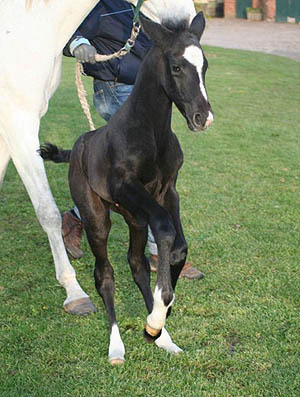 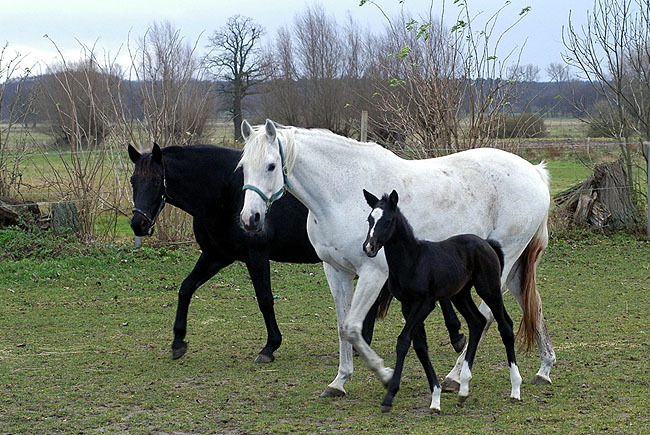 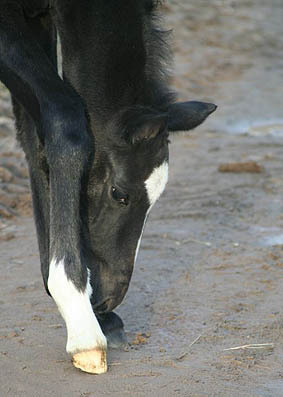 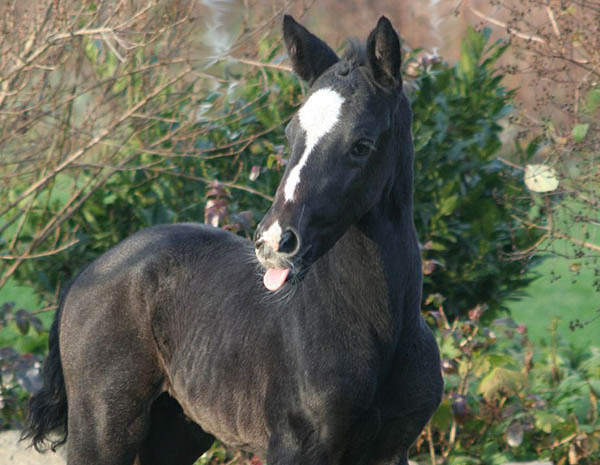 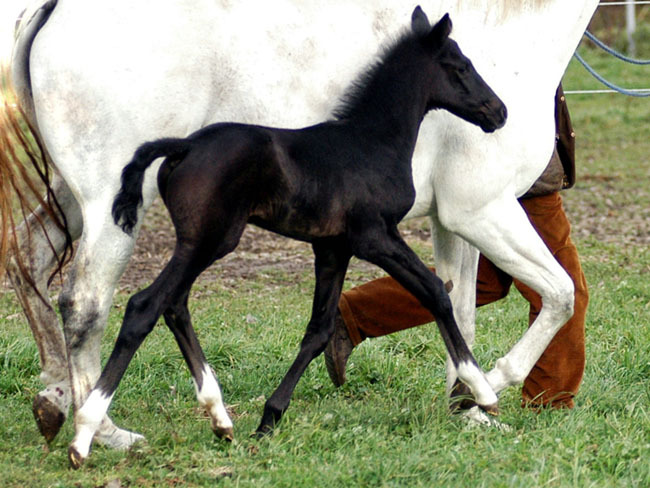 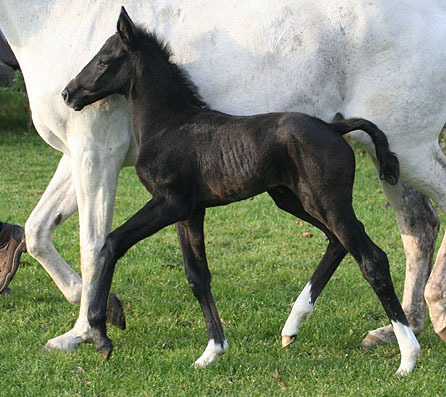 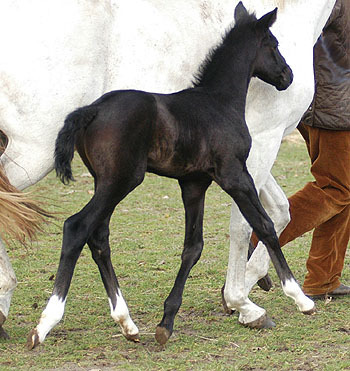 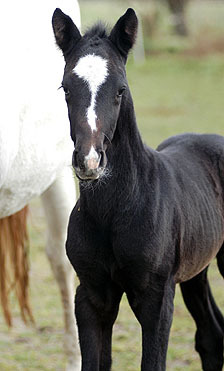 Click here for a Video of the 3 day old Trakehner colt "Abiskar"! 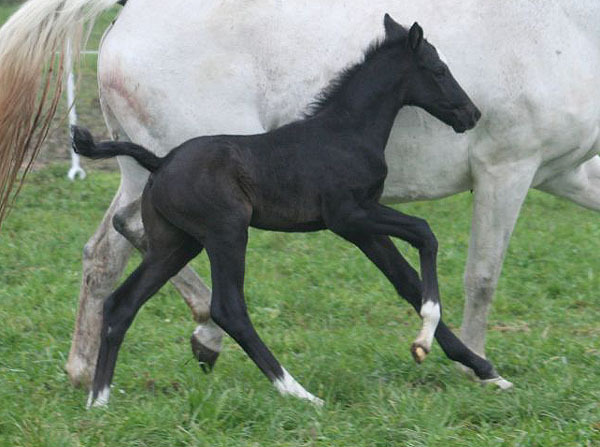 His mother, AIDA by KALIF descends through the dam’s line from a jumpers bloodline – click here for a video. 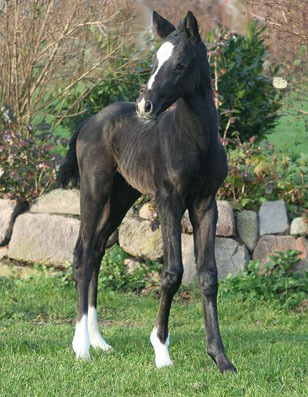 His father KOSTOLANY is known for his great talents and manners at jumping, so ABISKAR may have inherited some of these talents from his parents!